"Gone are the days, people get influenced by television ads" told my friend when we are discussing about influence of ads on business. It was a heated argument, i asked him to list all the brands he trusts, and of all the brands he mentioned, 75% of the brands still invests in television ads, that was the end of discussion. Lesson learnt: Big Brands believe in Tv ads. With that being said, let's first know who watches ads. How to make good Television ad? TV ads are bound to be short as they are very expensive, in addition people hate long ads. Human mind is programmed to like what they don't have, since this modern life is full of technology and information, people always like ads that produces kind of peace or soothing effect, best shown with nature. Because music goes directly to the heart not the brain, create a soothing music , show how the product is created or how it works or its features in slow motion. Believe me this can do wonders. Some brands create a mini song for their brand with good music and brand name in and at the end of the song. Because love songs and can easily Remember it, so sub consciously they Remember the brand name too. 5. Fun or crazy ads. People always love ads that are crazy, infact people wait for those ads to come. Creating ads that are form of story or series goes well. Teaser ads performs extremely well, before releasing a new product, just release an ad with a hint of the upcoming product with mild music and mysterious video, let the followers grow. Animation ads are highly experimental in nature, so should be tried only by companies of particular niches. When you are giving your product for free or unbelievably cheap price for a certain period of time, advertise it through television ads. Some important points on ads. Best to use Fresh, young and beautiful faces than celebrities. There's high chance teenagers can see the ad just to have see them. Very High Quality Camera work, The richer the ad looks the better it is. Do not use ads when premier movie or most awaited sports match is being aired, Not only the prices are high, it also makes no sense, as people will be waiting for your ad to finish. Never make fun of celebrities in ads. Do not boast of the product, the more the ad says about the product, the more dramatic it looks to the audience. As much as possible, do not show people talking, as it doesn't look good, when the same ad is dubbed across many languages. If Done right, television ads can bring brand value in no time. People may not take any action, if the ads are not interesting enough, infact people may hate the brand, if the ad is controversial. Very costly compared to digital marketing, with no guaranteed results. In the near future, television ads are going to be more efficient as hyperlinks will be added to the ads, through which the viewer can go to the advertised product website. But this can take atleast few years, since internet TV's are not common today. 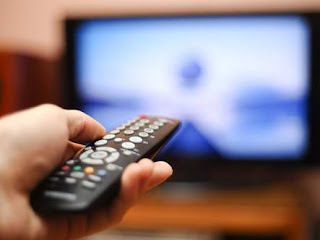 Is television marketing better than Digital marketing, Tell your views in the comments section below.